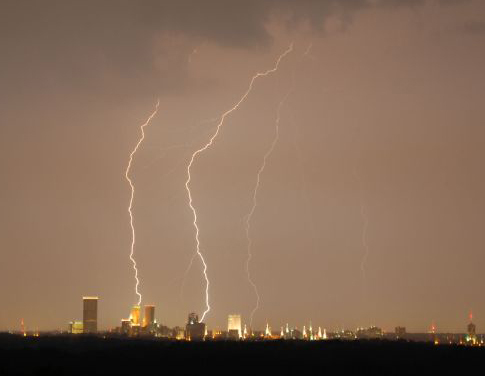 Lightning strikes over downtown Tulsa, Oklahoma. This image was originally posted to Flickr by Ian Carvell at https://www.flickr.com/photos/86725020@N00/222592584. It was reviewed on 24 April 2007 by FlickreviewR and was confirmed to be licensed under the terms of the cc-by-2.0.